As part of our debate and film screenings series The Reactive Citizen, launched to address the planned expansion of the Paks nuclear power plant in central Hungary, OSA is screening the film Tokyo’s Belly on the impact of the 2011 Fukushima nuclear disaster. This event will be in English. Time: Thursday, January 30 at 6:00 p.m.
Venue. OSA Archivum, Budapest, 1051 Arany J. u. 32., second floor meeting room (Room 212). Admission to the screenings is free. Seating is on a first come, first served basis. Seats available from 5.30 pm. 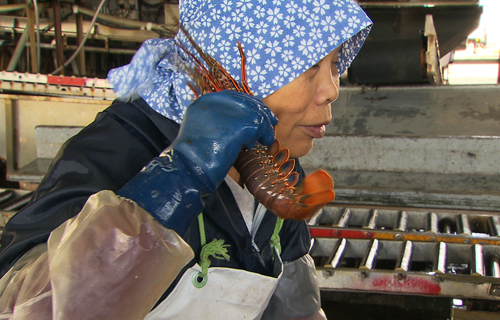 Tokyo’s Belly (Reinhild Dettmer-Finke, Germany-Japan, 2013, 70 min). A film guide to understanding Japan – before and after the atomic catastrophe of Fukushima. Director’s statement: I lived in Tokyo for two years. Every day, I looked out the window of my high-rise apartment onto an endless sea of buildings. I was living in the world's largest city – together with 36 million people. Since the 11th of March 2011, the perspective has shifted. A film about how Tokyo is serviced and supplied, which is also a study in mentality, must necessarily make reference to a triple disaster. 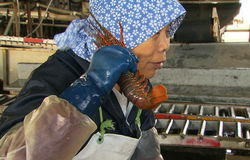 In July 2012, I went back to visit the same fishmongers, bio-farmers, and sanitation workers in Tokyo and in northeast Japan, and I asked them how things had changed. They gave impressive accounts of what they'd experienced since the spring of 2012 and talked openly about their fears and concerns, which still haunt them today. They talked about the spread of false information about Fukushima, about withheld reports of water and sewage contamination, and about manipulated media coverage of demonstrations and other acts of civil disobedience.